Sooooo, writing these gift guides has been incredibly bad for my bank balance… And I can’t seem to stop treating myself to all these little gifts… But, in the interests of research, I am selflessly continuing my quest! We still have 36 days before Christmas, so plenty of time to pick up some more little treats for the ones that you love. 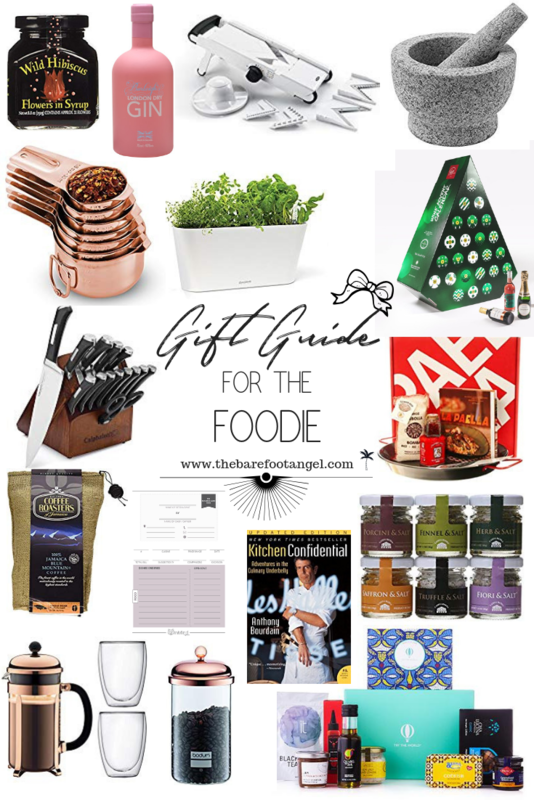 Up now is my Gift Guide for the Foodie. 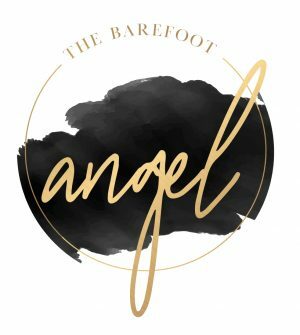 You can catch my Travelling Girl and Beauty Addict Gift Guides here and here, if you missed them. I’ve featured these before in previous cocktail posts because I really love how much these little beauties can elevate a simple gin and tonic or glass of prosecco. They make a fantastic stocking stuffer (my mum first introduced them to me at Christmas last year) and deserve a spot on everyone’s bar cart! I have wanted a decent mandolin for the longest time. Make all those slicing and dicing chores effortless with this one from Oxo. But, for the love of your fingers, please don’t forget to invest in a protective glove. Can you even call yourself a ‘real’ foodie if you don’t own a pestle and mortar? Our wooden one gets a fair amount of use, but I would love a hefty stone number like this one from Chef Sofi. Great for grinding your own seasonings, classic curry pastes (Red Thai curry is a personal favourite) or whipping up creative marinades with garlic and fresh herbs. If you know me then you’ll know that these feature on her because they are copper-coloured. But I refuse to apologize for it. Why can’t kitchen implements be pretty? This is a useful little stocking stuffer, as pretty as it is practical. Despite the fact that I seem to have whatever the opposite of a ‘green thumb’ is (a ‘black thumb’ maybe? What a horrible thought…) I still love the idea of growing my own herbs to cook with. The ones that I use most frequently anyway – coriander (cilantro for my lovely American readers), mint, basil etc. Could this aquaphoric hydroponic herb planter be the answer to my problems? It automatically waters my thirsty herbs and then lets me know when it is time to top up! Every gift guide features one splurge item and this is it for the foodie. Relatively inexpensive as kitchen knives go – this 15-piece set of knives is a key addition to any home chef’s collection. Enhanced by the self-sharpening knife block, your passionate chef will never struggle with dull blades again. Featuring only products made in Spain, this Paella kit which includes both the pan and a paella cookbook is a sweet gift for anyone keen on the Spanish classic. Beautifully packaged in a custom gift box it is sure to be appreciated by your lucky foodie recipient. Arguably some of the best coffee in the world. Renowned for being smooth and full-bodied while remarkably free of bitterness. The Foodie in your life will thank you for these beans when it comes time to caffeinate in the morning! Why not further enhance this present with this gorgeous copper cafetière from Bodum and the matching storage canister to keep these premium beans from going stale. Like many foodies, one of my favourite past times is eating out. I love trying new restaurants, food trucks, pop-ups, food events etc. Finally someone has created the perfect journal for recording all these culinary adventures. A place to make notes, keep business cards, rate your experience, favourite dishes etc. The foodie and travel worlds mourned together the loss of Anthony Bourdain earlier this year. Keep those flames of inspiration ignited with one of his best-selling classics, now recently updated; ‘Kitchen Confidential’. Spilling secrets with wild-but-true tales of his life and experiences in the culinary world. Up their seasoning game with these seriously fancy finishing salts. Six luxurious flavours including saffron salt and truffle salt take every dish to the next level. I like to use the porcini mushroom salt on my risotto and the truffle salt on my popcorn, but the possibilities are endless. I think I’ve left the best until last. If your foodie is anything like me, chances are one of his/her favourite things to do is sample new and exciting tastes and flavours and this is exactly what Try the World offers. From $19 per month for their Snack Box subscription or $39 per month for the Countries subscription. Immerse yourself in the culture and flavours of a different country every month and try a selection of products hand-picked by chefs from that region. I really hope that you found some suggestions on here that you think your foodie friend will love! Let me know what you think in the comments below! LOVE the idea of a herb garden. I think it’s such a cool idea. This is an excellent guide! Thanks! I am so going to buy every single one of these for my mom! She will definitely love them! I did not know that there were gift box subscriptions available for foodies. That is very interesting. My favorite out of these items is the salt set because it fascinates me how many different kinds of seasoning salts there are, and I would be tempted to try them all too! So many great ideas. A french press has been one of my most popular gifts for friends. I should definitely be getting most of those things, even though i love cooking more than eating.. but as an African some of those are somehow irrelevant to us. Great guide though. True fact – Burleigh’s is made just up the road from us! One of the first pressies Dan ever got me is a bottle of the original! The pink one is just lovely though! 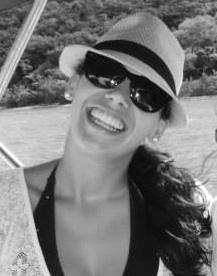 Charlie is an Island Lifestyle and Travel blogger based in the British Virgin Islands, sharing sunny adventures and travel experiences alongside BVI tips and recipe tricks. Ever wanted to know what it's really like to live on a paradise island? Find out here! I'd love to show you more! Enter your email address to subscribe to this blog and receive notifications of new posts by email.